We have new Math TEKS! Anyhoo...there are BIG changes coming. The new TEKS do not oficially begin until the 2014-2015 school year. But many districts, including mine, started rolling them out last year. So are you ready for the big shockers? No more sorting by attributes. So that awesome sorting balls lesson I have? Gone! (Except you could do it in science). 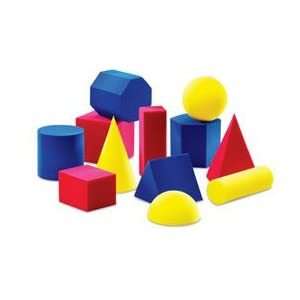 Kids will still sort geometric shapes by their attributes (but not by color, size, pattern, etc). No more red, yellow, blue, blue. Gone! So no more excuses to eat graham crackers and Hershey Bars in class. (Although I can still probably find a reason). (Not in math, anyways...social studies still has some). No more surface area or duration of time in measuring. So what are we going to be doing? Lots and lots of number sense/computational fluency, real-world problem solving and making generalizations. Although some changes may seem minor, there are subtle cognitive and content changes that increase the rigor significantly. And there is much greater emphasis on mathematical processes--(really look at K.1 A-G). But not on my blog. Most of my lessons will be obsolete. But don't worry--I have lots more up my sleeve! I have a bunch of posts planned that will address the new TEKS in detail with lesson ideas included. If you would like to see the new TEKS in their entirety, you can check them out here. Don't panic. This is a great new adventure! And I really believe that these new TEKS will better prepare our children for the math skills they will need in the future. So bring it on...we'll all be just fine. That's the ability to instantly recognize the number of objects in a small set or arrangement without counting. Or for me, the number of cookies on a plate...mmm....6. It's a developmental prerequisite to counting, and many kindergartners come to school without this skill. So it's essential for us to teach it! Teaching it is easy! The easiest way is just to flash dot cards and have the kids quickly call out the number. Here's something I put together...a quick powerpoint with dot arrangements. I flash each slide for just a few seconds. Most of the time, I just have the kids call out the number, but sometimes, I have them write the number on dry-erase boards or create the same pattern on their tables with counters. Interestingly enough, the word is pronounced soobitize--with a long u. One would think it was a short u, as in substitute teacher or submarine sandwich. But noooo... it's a long u like tuba-tize. Now, go use it in a conversation with your principal. He or she will think you're really smart. Kids have a lot of misconceptions about capacity, and they can really only be cleared up through hands-on exploration. Sadly, I don't think they get opportunities for this like we did when we were kids. Instead of playing in a sand box or with cups and bowls in the bathtub, kids are playing with iPads and Wii's. And so many districts (mine included) are taking away sand and water tables from kindergarten, in favor of more "rigor." Because of this, kids are not building the schema necessary to understand more abstract concepts about capacity. So please, please give your kids lots of time to explore by filling up cups with water, sand, rice, beans, cubes...whatever you have! If you are lucky enough to still have a sand or water table, it is the perfect excuse to use it. Don't let anyone tell you it's not "rigorous"! I start my unit by showing a quick little powerpoint, to get a discussion started. Then I show the kids several bottles, cups and other containers and have them put them in order from what would hold the least to most amount of water (smallest to largest capacity). I make sure it is very obvious which containers hold more/less water. I'll make it trickier soon enough! Finally, I have the kids draw and label something in their math journals that would hold more water than their water bottles...a milk jug, a pitcher, a vase, a lake, the swimming pool, the ocean... They usually come up with some good ones! NOTE: We do not record anything in our journals for this "problem". We are going to play with water, and water + math journals = very, very stressed teacher. So the math journals stay safely tucked away, warm and dry. Don't be afraid of the water, though. Clearly lay out your expectations (Please keep as much of the water in the containers as possible, no splashing, etc). Bring a couple of big towels to school. Clear off your tables and let them explore! So on Day 1, I made it very obvious which containers had larger and smaller capacities. On Day 2, it gets a little trickier! I tell the kids that I am really thirsty and show them 2 cups. Now the answer is not so obvious! The kids usually guess that the green cup holds more, because it is "bigger" (taller). But I tell them I want to know for sure--how are they going to prove it? I do not show them how to figure it out. I give each table a green cup, a red cup, and a tub of water. I also leave out a variety of other containers, including some small dixie cups, and tell them they can use whatever they want to try and figure the problem out. I let them work together and discuss their various ideas. And I push them in the right direction with questions only when I think they need it. There are several strategies the kids can use. The most obvious is to fill up one cup, and then pour it in the other to see if there's room left or if it overflows. Another would be to use the smaller dixie cups to see how many it takes to fill each cup and compare the answers. Another yet would be to fill up both cups and then pour them into a common container to compare. Your job as a teacher is to guide them. Tell me what you're doing? Why did you decide to do that? What does that tell you? What are you going to do next? (And only when they're completely stuck) What would happen if...? So which cup do you think has the larger capacity? It turns out that they're pretty darn close, but the red cup holds just a few ounces more. The most important part of this investigation is the discussion afterwards. Have the kids demonstrate what they did and talk about what worked and what didn't. Which cup had the larger capacity? WHY??? The green cup is taller, shouldn't it hold more? (Ahh...but the red cup is wider.) Remember--kids learn from each other so much better than they learn from us! Here's a chance for kids to learn about capacity and practice their estimating skills at the same time. You can use cubes, or cups of beans, or any other unit of measurement you like. For this activity, I give the kids a variety of containers. The dollar store is a great place to get them. (Like you need another excuse to go to the Dollar Store!) Do not make the answer obvious (i.e. make sure the containers do not fit one inside the other like measuring cups.) Make sure some are tall and some are wide, so the kids will actually have to fill them with beans to place them in order. ...this cylinder take-out container. It's true. Even I had to fill them up with beans before I would believe it! If you can get your hands on some graduated cylinders from your science lab, the kids LOVE them. Just make sure you have a variety of shapes and sizes. More practice comparing capacities. I do not tell the kids what to do. I let them decide the best way to figure out which one holds more. This is a very abstract and challenging problem! But every year, I have several kids who can handle it. So I'm giving it to you in case you can use it. By the time we do our measurement unit, we've already covered quite a bit of basic joining and separating--so we have a solid foundation, already. This is a classic Join, Change Unknown problem. Once again, I do not tell or show the kids how to figure the problem out--I just guide them with my questions. So we finally come to a subject none of us likes talking much about--weight! Because, you know at some point one of your little darlings is going to ask, "How much do you weigh?". Luckily, in kindergarten, we deal strictly in non-standard units of measurement. So I'm honest. I tell them. If they can figure out how many pounds that is, then I really am a phenomenal problem-solving teacher! Texas kindergartners are only required to compare 2 objects based on their weights. A truck weighs more than a book. An apple weighs less than the school. You get it. But, if they are ready, I usually expose my kids to using a balance and weighing with non-standard units. (D) compare two objects according to weight/mass (heavier than, lighter than or equal to). To introduce this concept, we simply practice comparing weights by holding different objects in our hands. Of course, some objects are a little too heavy to actually pick up. Luckily, the kids already have a solid schema--most can easily tell you that a car weighs more than a soccer ball. I have the kids use their water bottles and find objects that weigh less and weigh more. They record their answers in their math journals, and we make a class chart, as well. How does an object's size affect its weight? Does bigger always mean heavier? I pull out several objects specifically for this conversation--a feather, a marble, a beach ball and a baseball. First, I ask the kids Which ones are bigger? Both the feather and the beach ball are bigger. Then I ask Which ones are heavier? The marble is heavier than the feather, even though it is bigger. And the beach ball is much lighter than baseball, even though it is much bigger. Why? Most kids will quickly realize that the beach ball is full of air, and air is very light. It's fun to hear what they think is inside of a baseball (rock). After some discussion, we decide that the more "stuff" (or matter) is inside of a given area, the more it will weigh. Then we discuss the difference between weight and mass. I don't actually want to get too technical and risk the formation of misconceptions. I just want them to see that size and weight are not always related and that big objects can sometimes be light and that small objects can sometimes be heavy. As a follow-up activity/warm-up, I have the kids complete a heavy/light sort in their math journals. WHAT is a "shoebox" balance, you ask? Only one of my favorite activities ever! Full disclosure: My team makes fun of me for this activity. I don't know why--it's an excellent way for children to figure out how a balance works. I never introduce "real" balances until we have played with our shoebox balances for a while. You will need: a cylindrical object of some sort (a can works); a long, flat object (like a shoebox lid); and some play-doh (obviously, dollar store stuff works just fine). Place a blob of play-doh on the table and place the can into it. This is so the can will not roll away. The can needs to be as straight as possible, so be careful to push the can down into the play-doh evenly. Now, balance the lid on top of the can. Do not use play-doh to stick the lid on the can. That's cheating. Just balance it. It takes practice. I let the kids practice balancing the lid with nothing in it until they get the hang of it. They are learning that the lid has to be centered on the can for it to work. Why? Because then, the same amount of lid is on each side--so each side "weighs" the same. After a while, I let the kids start placing objects on each side of the "balance." I give them an assortment of my mixed math tools--cubes, counters, etc. I do not tell them how to do it--I let them figure it out on their own! If one side falls down, they figure out that they have to add something to the other side. If that side then falls down, they might take that object out and try something lighter. It's all about trial and error. They are problem-solving! By the way, if you see this (look below), you might want to discuss with the students why it's not quite right. Technically, it is balanced. But because it is not on the curved part of the cylinder, it's a whole lot easier! So as my kids are exploring, I ask them---Does this remind you of anything? Usually, someone will say a teeter-totter, or see-saw. I ask them how a see-saw works--and how that is like our shoebox balances? The light side goes up...the heavy side goes down! And what has to happen to make it balance? Both sides have to be the same weight--or equal. Would it be fun to play on a see-saw with an elephant? No--because the elephant is so much heavier, you would be stuck in the air all the time. This is something that most kids can relate to--connecting their new learning to what they already know. Finally, I have my kids record their results in their math notebooks. So after my kids have had lots of time to play with their shoebox balances, I bring out the "real" balances. I also collect a variety of objects for them to explore with. The first activity is to compare objects to see which weighs more using the balance. Again--do not tell the kids how to do it. Guide them through questioning, but do not model it. For a challenge, have the kids figure out which of the objects they compare weighs the most. That's true problem-solving! Watch to see what strategies the kids use to keep track of the objects they weigh. This is definitely a challenge. I always have them work together in a group for this problem. Here's my old recording sheet, but I've updated it for this year and included it with the blackline masters. I chose objects that most people already have in their classrooms or that are easily accessible. This is just more practice using a balance. I give each group and eraser and a variety of objects. They see how many different combinations of objects they can find to balance the eraser. So here, instead of just comparing objects, we are actually weighing them using non-standard units. In the past, I have used bears, but this year, I'm using cubes. The kids will have to do some rounding, for sure. Sometimes 6 cubes isn't enough to make it balance perfectly, but 7 is too many. I tell them to get as close as possible. While they're working, I ask them what the benefit of using the cubes (bears) to measure with would be. (It's a common unit that you can then compare weights with). When they're done, I ask which object weighed the most? They can answer very easily...here it was the rock, because 13 cubes was the most. Was it harder or easier to tell which object was heaviest today, as compared to yesterday? They should (hopefully) say it was easier today--because they knew how many cubes each object weighed, they did not have to go back and compare each object. They had a common unit by which to compare. Here I have the kids explain, either verbally or in writing, how a balance works. And we make an anchor chart. Here is a chance for the students to apply what they've learned to a more abtract problem. I do not get out the balances for this problem, although they can use math manipulatives if they want. This little girl used tiles. She put out 5 tiles to represent the 5 tiles on one side of the balance. And then she added tiles until she got to 12 (because she knew she would need 12 on both sides to make it balance). She then counted how many more she added to get the answer 7. This little girl is a little more advanced in her mathematical thinking. She has great computational fluency skills! First, I draw balance and I count to make 5 cube for 12. Now 5 cube need another 5 to make a 10. And 10 cube need 2 more so that 5+2+7 and so 5+7=12 and that make 12 and 12 and it make both equal. This is another challenging problem. I made this blackline master to help the kids visualize it. They have to figure out that if the book weighs 5 cubes, there are 3 cubes left. So the pencil must weigh 3 cubes. I put most of my blackline masters here in this packet. 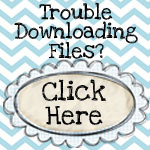 You can download them for free by clicking on the link below. You'll see I have updated most of the pages. And now, I need to get off the computer and go get some exercise. Because to be honest, I could stand to lose about 2,000 cubes! Here is how I teach Area to my kindergartners--lots of hands-on exploration and discussion, of course! Or way too hard! If you have one area that is longer on one side, but shorter on another, it is difficult to compare their areas based on observation alone. So using some kind of non-standard unit to actually measure the areas is a natural extension. (B) compare the areas of two flat surfaces of two-dimensional figures (covers more, covers less, or covers the same). Make sure to choose sticky notes that are easily comparable (fit completely inside each other). Have the kids discuss--which sticky note would be best for writing a long note, and why? When they answer that one note is "bigger," press them for more...Bigger how? Is it longer? Is it taller? Keep pressing them until you get someone to say something close to "The inside part of this note is bigger, or has more room than this one." Let them demonstrate by actually placing one note on top of the other. Then introduce the word area and explain that it is the space inside a region. Have the kids physically compare the books to determine which have a bigger/smaller area than their math notebooks. Have the kids look at the pictures of the windows below. Ask them which window has the bigger surface area? How can you be sure? Have the kids cut out and physically compare the windows. But wait...this way, Andrew's window looks taller. So which is it? Ask the kids if they can think of a way to find out for sure. Someone will probably suggest measuring it. But how? Measure what? Measure how long a side is? Measure it "this way"? Or "that way"? Remind them that if they really want to know who has the bigger window, they need to figure out which window has the bigger area (the inside part). Then ask the kids what math tools they could use to measure the area. Don't be afraid to let them experiment. If someone chooses round counters, and there is space left over, discuss whether or not that is the best option. It takes 12 tiles to cover Emma's window, as well! They are the same size! The kids love it when they figure this out! And it's not a concept that they are going to grasp after one lesson. But, once again, we are providing the kids with concrete, hands-on experiences to build their schema. Allow the kids to do some more hands-on exploration today. Have them choose different objects from around the room and measure their areas with different non-standard units. I like to have them estimate how many units it will take to cover their objects first. Good things to measure...anything flat! Games, books, puzzles, journals, notebooks, rugs, mats, etc. Good things to measure with...tiles, cubes, playing, cards, dominoes and sticky notes (make sure you re-use the sticky notes--they aren't cheap!). Which is a better choice to measure a game--these little tiles or the bigger sticky notes? Why? If you run out of dominoes, can you finish measuring with tiles? Why or why not? If Alex measured his book with cards and Drew measured his with sticky notes, can you compare the measurements? Why or why not? Here's a chance to practice measuring "those hard-to-compare" objects. I encourage the kids to choose 2 objects that you cannot just stack on top of each other to compare their sizes. They love the challenge! I also make them predict which has the larger surface area before they measure. It makes them start really thinking about how long or short or fat or skinny objects are--and how that affects their area. Here's a problem that challenges children to apply what they've learned through their hands-on exploration. Here's the catch--I do not give them tiles! They have to figure out that there will be five tiles across and 4 down for the whole rectangle. Some kids will draw the tiles to fill it in, some will draw grid lines, some might even cut out little scraps of paper to fill it in. But do you see where this is going? It's a very early exploration of how height and width relate to total area! Give the children 14 tiles (or paper squares). The grid paper is just to help the kids organize their arrangements. Tell the kids to make a shape. It will either be a square or a rectangle (an excellent opportunity to review the attributes of squares and rectangles). But is it a square or a rectangle? (It's a rectangle because 2 sides are long and 2 are short). But the most important part, as always, is the discussion! As an extension, I give the kids a predetermined number of tiles and see how many different shapes they can make. (Numbers with multiple factors work the best... like 12 and 24). Again, the kids start to understand that shapes can look different and still have the same area). Warning: Teaching kids about measurement definitely exposes you to the If You Give a Mouse a Cookie Syndrome. Before you know it, you will probably be measuring your windows with sticky notes and your carpet with pieces of construction paper. In Texas, kindergartners only need to verbally name the positions 1st, 2nd and 3rd. If they can go beyond 3rd, and/or write the ordinal numbers (abbreviations), they recieve an "exceeds expectations" on their report card. Both of the next ones are in one document. The next activity is a fun one-- 4 riddles that the kids have to solve (process of elimination). But if you want it, you have to do me a favor. Please go to the Facebook page for Kindergarten Kindergarten. While you're there, take a second and LIKE Kindergarten Kindergarten. The link for this activity is there. Shameless, I know. But I need to be liked! So here is the beginning of my Kindergarten Measurement Unit. This is a fun unit, and that's a great thing, because we spend a lot of time on it! The unit is divided into 4 sections: length, surface area, weight and capacity. (We're also supposed to do temperature, but we cover that so much in science that we skip it in math). As with everything, we start out with lots and lots of hands-on, concrete learning activities. But once I feel like they have had enough practice, I give them a more abstract problem so that they can apply what they've learned. So let's start with LENGTH! In Texas, kindergartners only need to be able to compare 2 or 3 objects and tell whether they are longer, shorter or the same (and the Common Core Standards look similar). But my children usually master that concept very quickly, so we move on to measuring with non-standard units. (A) compare and order two or three concrete objects according to length (longer/shorter than, or the same). A space stick (if you're wondering) is a tongue depressor. We have them in our supply buckets and use them to help us leave spaces when we're writing. I really use this activity as a formative assessment--to see what the children already know. I do not give the kids a lot of direction, I just give them a space stick and let them go forth into the room to find their objects. As they are working, I circulate and talk to the children. I ask them to show me objects that are longer/shorter than the sticks. I ask them How do you know? and What does that mean--shorter? (or longer?) I get a general idea of where the class stands as a whole in their understanding. I also look for children that are struggling so I can make sure to keep an eye on them as we move forward. During share time, I have the kids show examples of longer/shorter objects. I have children demonstrate how they compared the objects. I have some children show how they lined the objects up at one end. We discuss why that's important and what happens if we don't. We also talk about the words longer, shorter, taller, bigger, and smaller. How are they the same? How are they different? When would you use them? (For example: A giraffe is _____ than I am. This pencil is _____ than the scissors). We talk about what length is. What are we measuring when we measure length? This is a quick activity to see if children can place objects in order according to their length. During share time, I might ask a student: I noticed you lined the crayons up on one end as you put them in order. Why did you do that? What would happen if you didn't do that? I have the kids sit in a big circle and give them each 1 or 2 objects that I have gathered from around the classroom. (I choose objects that can easily be ordered by length). I tell them that we are going to put all of these objects in order from shortest to longest. I start by putting one object down. We review why it's important to line objects up on one end and come up with a strategy to do that for all of the objects. (Here we used the strip between the carpet and tile). I call on a student to place his/her object down. I do not show them where to place it. They have to estimate where it will go in the whole scheme of things. For example, it wouldn't be the best idea to put the paperclip right next to the yard stick. Mostly, I let kids put things where they think they will go without interfering. Moving objects around to make room for new objects is part of the whole problem-solving process, and if I step in, I'm defeating the purpose. I do, however, guide them through questioning: I noticed you left a lot of room between your marker and the apple pointer. Can you tell me why you did that? The more objects that are on the floor, the harder it gets. Some objects are very close in size, and the kids really have to focus to see which is longer. It is an excellent opportunity to revisit good strategies for comparing lengths (i.e. lining objects up on one end). After a student places an object, I ask the class: Do you agree or disagree? If someone disagrees, I have them explain why.If the object needs to be moved, I have that person work with the student who placed it to move it to the correct spot. Eventually, we get all the objects placed. The next day, I have the students complete a smaller-scaled version for their math notebooks. Some students will still struggle with lining the objects up at one end. In this case, I would ask the student: Which is longest? How can you tell? Is the ___ longer or shorter than the ___? Why does the marker look like it's longer than the pencil? How could we fix that? When they are done, I have the students record their answers in their math notebooks. Here is another activity where students place objects (wiggly worms) in order according to length. I pre-cut strips of green construction paper in various lengths and have the children pick a piece. They cut out and decorate their worms any way they want. As with the classroom objects, we work together to put the worms in order from shortest to longest. Worms get moved around as needed. There are usually a few heated debates about worms that are close in length. Finally, when we're all in agreement, we glue them down! Here's the classic comparing names by length activity. I use this activity as a bridge between comparing objects and actually measuring them with non-standard units. I start by writing 2 names on the board. I will choose a really long name, like Alexandria, and write it in skinny letters all smushed together. Then I will choose a much shorter name, like Drew, and stretch those letters out so that his name is actually longer than Alexandria's. Then I ask: Which name is longer? There is a very heated debate--some kids think it should be done by the number of letters in a name. Someone will almost always tell me "You have to make all the letters the same size!" So then we discuss why and how we could do that. Then I show them the grid paper (see below) and ask (not tell) them what we should do. The kids write their names, one letter to a square. (Longer names will need strips taped together). And just like the worms, we put the names in order from shortest to longest (or longest to shortest!) We talk about how the squares on the paper helped us keep our letters the same size and why that's important. We will revisit this idea again! This activity introduces measuring with non-standard, or informal, units. The children partner up and take turns tracing and cutting out each other's feet. I do not directly model how to measure the feet. 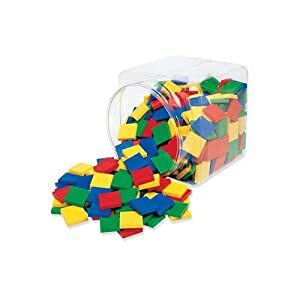 I give the kids a tub full of cubes and let them work it out on their own. We take a break about halfway through and have a discussion. I will call on several kids who are doing the things I want to see and ask them to explain. I prompt them with questions: I noticed you snapped your cubes together. Can you tell us why you did that? What would happen if you didn't? I noticed you went right down the middle and not from side to side. Why? Then we have more discussion. I ask several students: How long was your foot. How long was your partner's foot? Whose foot was longer? What did you notice about how many cubes it took to measure your foot versus how many it took to cover your partner's? (It took more cubes to measure the longer foot). Why? I show the students a cut-out of my foot and a smaller one. I ask: Which is longer? Then I proceed to measure both feet with paperclips. As you can see, I have a variety of sizes, but the kids usually don't seem to notice or care at this point. Until, that is, we count the paperclips! So we talk about it. It took 4 paperclips to measure my foot and 6 to measure the smaller foot. Does that make sense? Why or why not? What did I do wrong? How can I fix it? Use paper clips that are all the same size, of course! This is a very concrete example of why it's important to use units that are the same size when comparing objects based on their size! (Just like when we wrote our names in the squares for the comparing names activity). A quick note about non-standard measurement: It is essential that kids get lots of practice using non-standard units of measurement before they move on to standard units, like inches, and centimeters. Although it is easy to teach kindergartners how to correctly use a ruler, do they really understand what an "inch" is? And if you move to these abstract, standard units too soon, students can develop serious misconceptions. After reading the teachings of people like John Van de Walle and Marilyn Burns, I am perfectly content to sticking with non-standard measurement in kindergarten! I like to give the kids lots of practice measuring, so first we do an avtivity where they have to measure common classroom objects. Often times, the actual measurements will include a 1/2. I generally tell my class to use their judgement and measure to the nearest cube. Some kids already understand the concept of 1/2 and write it down (although I get a lot of this: 12 in a haf). And then I let them choose what they want to measure. With this activity, we explore measuring the same things (in this case, pieces of tape) with different units and then comparing the answers. I put 3 pieces of tape around the room and label them A, B and C. The kids measure each piece of tape with cubes and popsicle sticks. The numbers are different because: It is not because of the tape. It is because of the object that you measure with. The popsicle stick is longer so the number is "shorter." The cubes are shorter, so it is a bigger number. The numbers are different because the popsicle sticks were bigger than the cubes and took up more space. Even though this is a simple activity, we are helping to build our students' schema. In the future, when they start learning about inches and feet and conversions, they will have had this experience--something to build on! So here's a chance for the kids to apply what they've learned. I'm gonna warn you, at at least half of the kids, even the really bright ones, will say the puppy without a second thought. Afterall, 13 is bigger than 2! They will also ask to see the teddy bear and puppy, which is difficult, because they don't actually exist. I tell them: I don't have them, but we do have plenty of space (popsicle) sticks and cubes. So--what can we do? They figure out that they're going to have to lay down 2 popsicle sticks and 13 cubes to see which is longer. As a few kids figure it out and the buzz starts making its way around the room, the ones who initally said the puppy is longer get out cubes and popsicle sticks to see if they are right or wrong. It's fun to see their reaction when they figure it out! It's hard to read, but this student wrote: The teddy bear is longer because the popsicle sticks were longer than the cubes. Again...the first thing they ask is "Where's the rocket?" I tell them: It crashed, so what are you gonna do? Most lay out 5 space (popsicle) sticks and then measure them with cubes. But I have had several students figure out that one space stick is 8 cubes long, so they just added 8+8+8+8+8. Way faster (and easier) than lining up 40 cubes! Here is the anchor chart I made with my kindergarten class after we did the 3-D Shape movement activity here: 3-D Shape Problem Solving. You can see some of the language my kids used when discussing whether or not 3D shapes could roll, slide or stack and how it relates to the attributes of those shapes. Here's a quick PowerPoint I made for 3-D shapes. I use it as a warm-up by showing a few slides per day and having the kids discuss what shapes they see. Super easy! You can download the slideshow here: Download Shapes, Shapes, Everywhere! My kids love 3-D shapes even more than they love 2-D shapes! They are super excited to learn everything they can about them, so that makes my job very easy. As always, hands-on exploration is essential in order for students to develop a solid understanding of 3-D shapes. So we play and explore a lot! I let the kids explore 3-D shapes by building, stacking, rolling, etc. Then, together, we create an achor chart. We describe the shapes using both formal and informal language (so the kids can build on their schema) and record the information on the chart. In the beginning, the kids will call spheres "circles" and cubes "squares," but they learn the correct names very quickly. Although I introduce the vocabulary--face, base, point, edge--I do not require my kids to memorize it. We're just building that foundation. We compare the 3-D shapes to their 2-D counterparts and talk a lot about the 2-D shapes we see in the 3-D versions. Then we think of examples in real life--and this is where the real fun begins! I challenge the kids to go home and find as many examples of 3-D shapes as they can and bring them into school. We create a Kindergarten Shape Museum! We find a very special place in the room and add to the museum as the week progresses. We talk about the objects the kids bring in--What shape is it? How do you know? What do you see? Here is one of my favorites from this year...the kids dubbed it a "Star-angular Prism"! After a couple of weeks, all the shapes go back home. But the kids never stop looking for 3-D shapes. They point them out all year long! We also do 3-D shape recording sheets for our math journals. First, the kids write about the shapes. Some kids use formal mathematical language, and other kids use everyday language. It just depends on where they are in their understanding. And like so many other things, we compare and contrast different shapes--2D and 3D. Not only does this reinforce concepts and vocabulary, it really promotes critical thinking. Finally...when all the kids are familiar with all the shapes, we can get down to some problem-solving. So check back soon to see what we do!